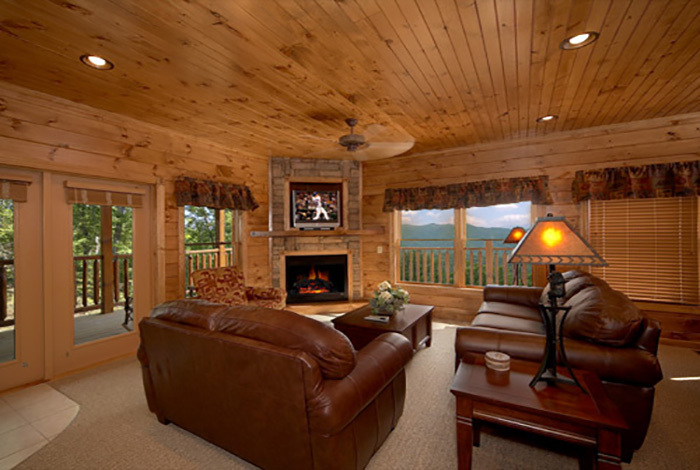 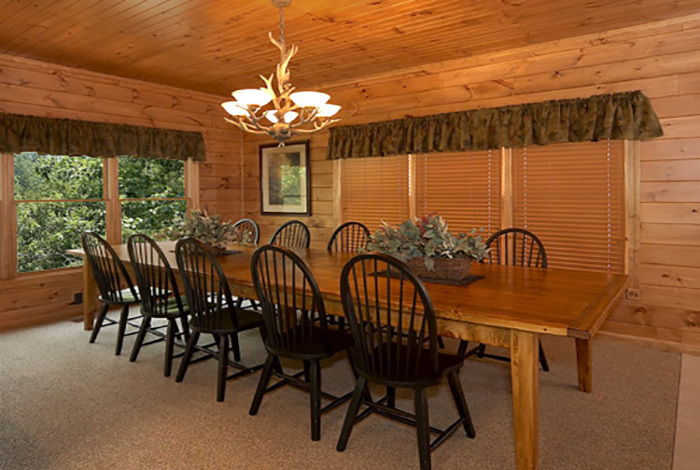 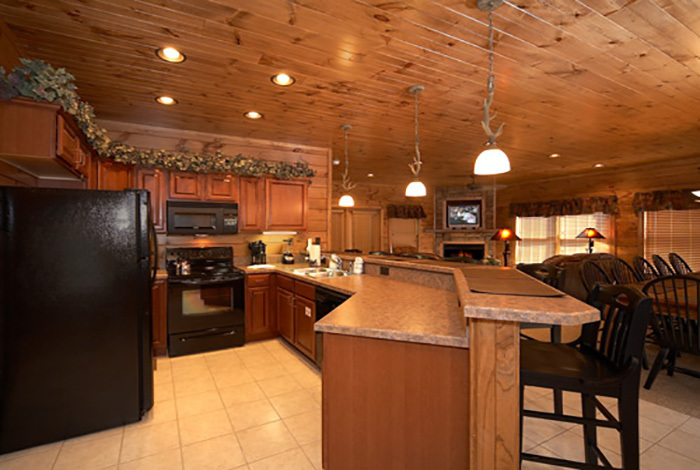 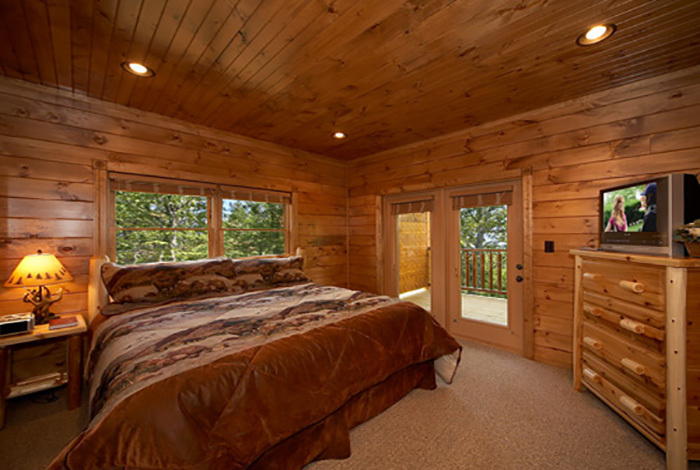 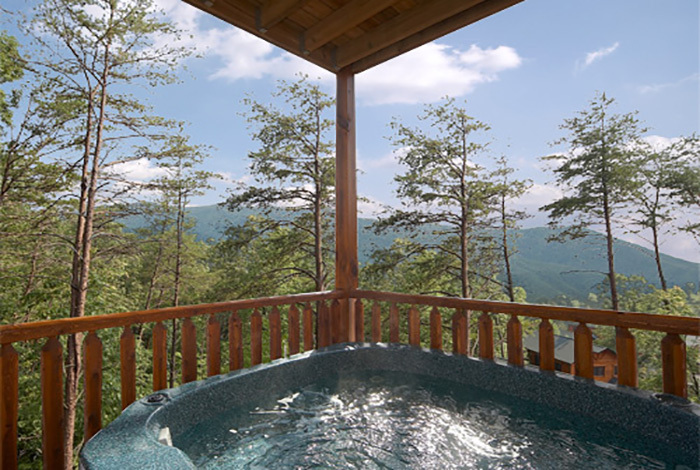 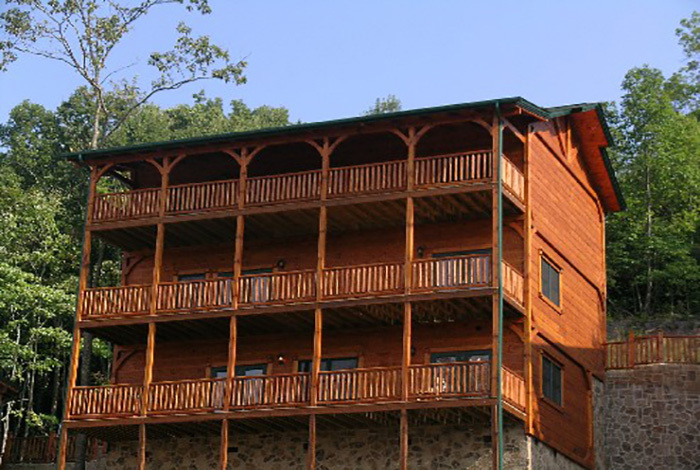 Any large family Smoky Mountain getaway would not be complete without staying in a cabin that features spectacular views, premium amenities, plenty of space, and a fantastic location. 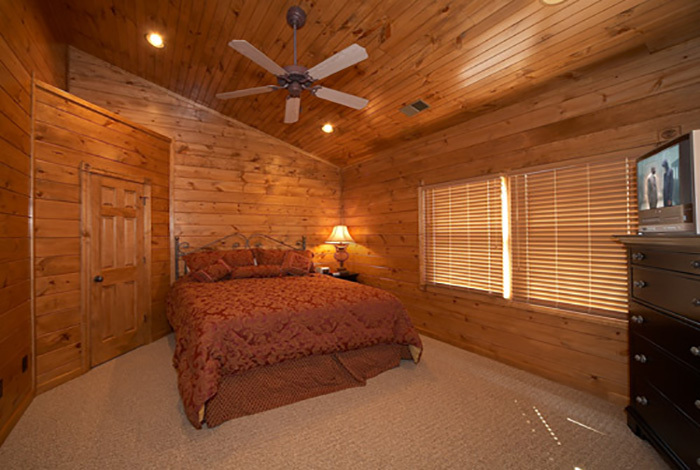 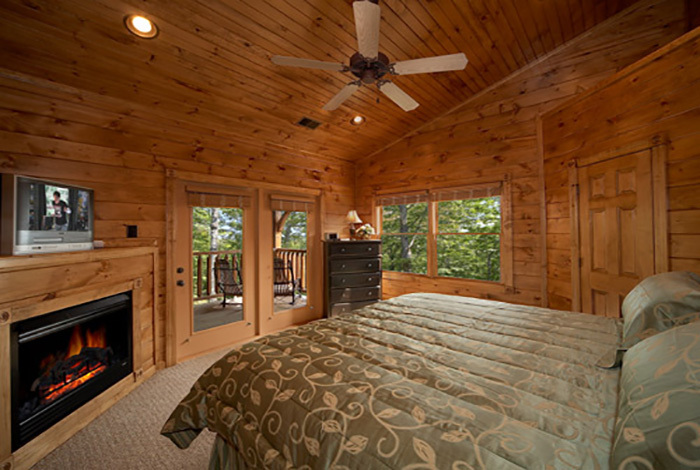 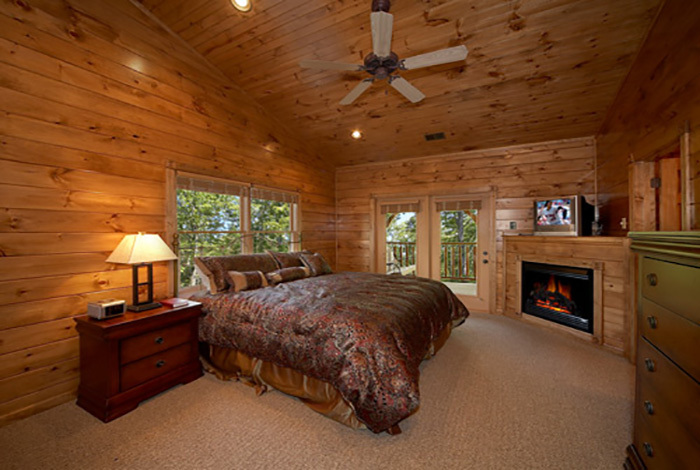 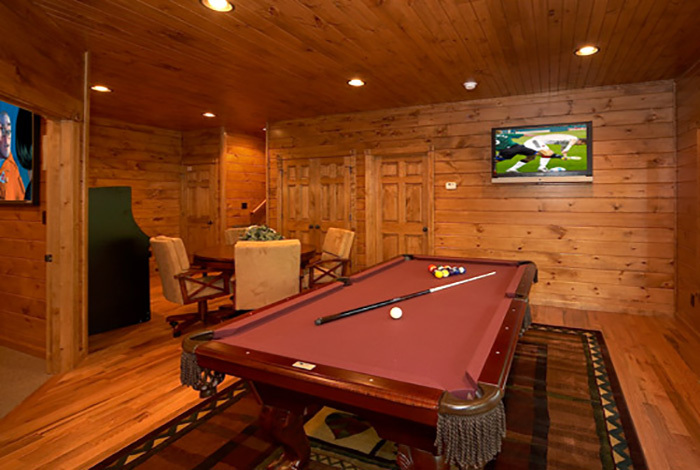 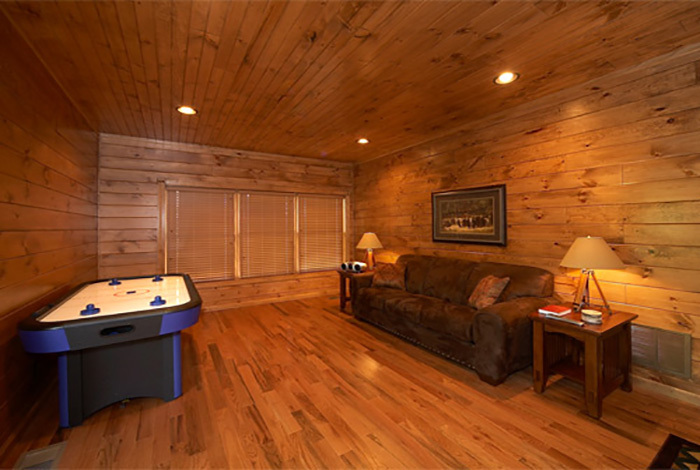 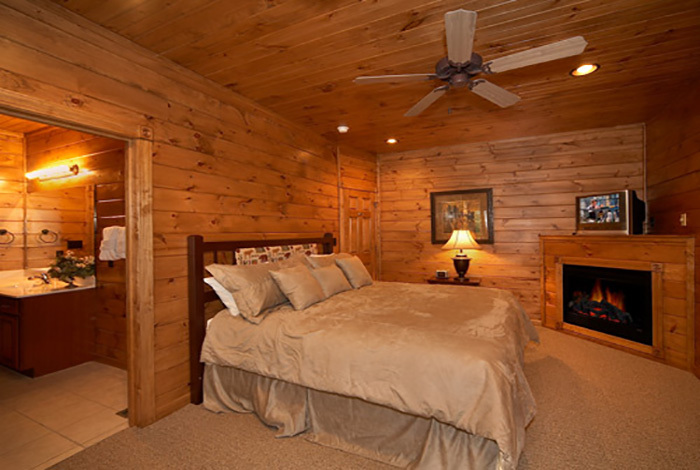 It’ 5 O’clock Somewhere is the 5 bedroom Gatlinburg cabin rental that offers guests the best in all four of these categories. 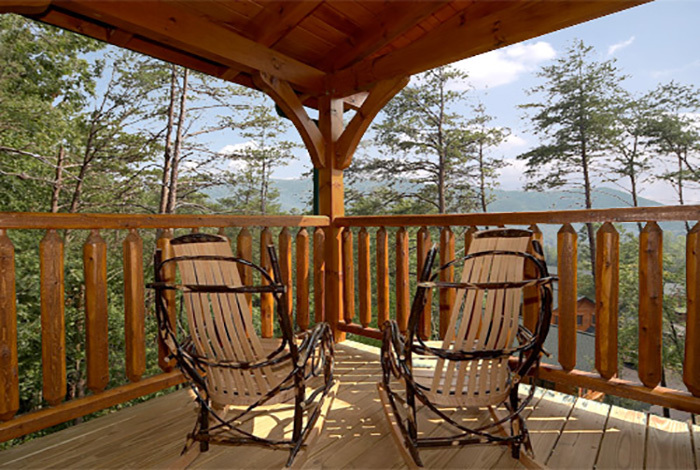 The deck offers spectacular mountain views from the Amish rocking chairs, porch swing, and hot tub. 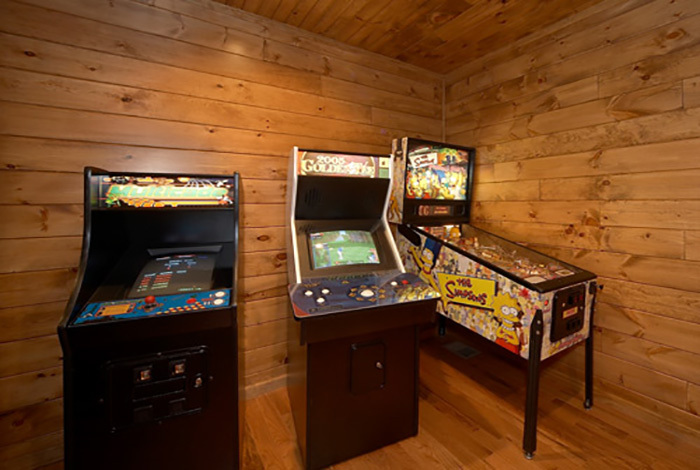 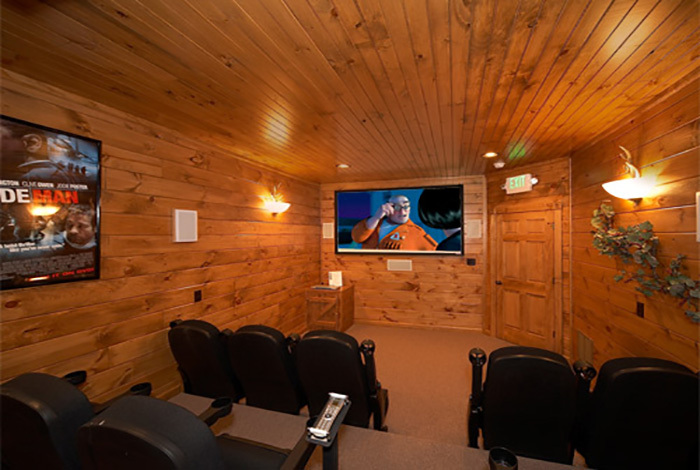 The interior features include home theater, full kitchen, Wifi, and game room stocked with Pool Table, Bumper Pool/Card Table, Air Hockey, Golden Tee, Simpson’s Pinball, and Ms. Pac Man/Galaga arcade game. 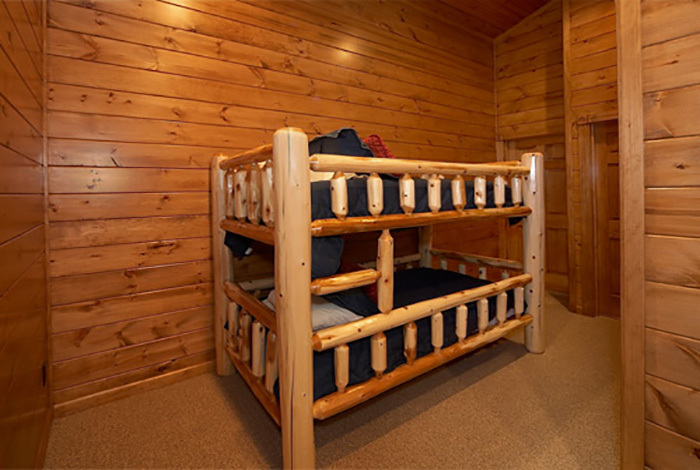 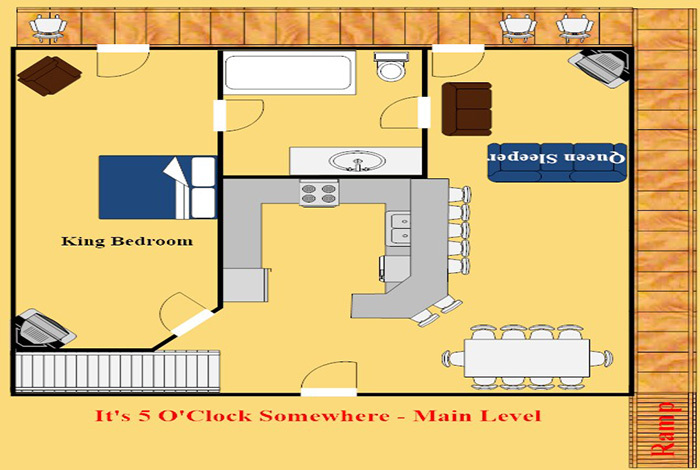 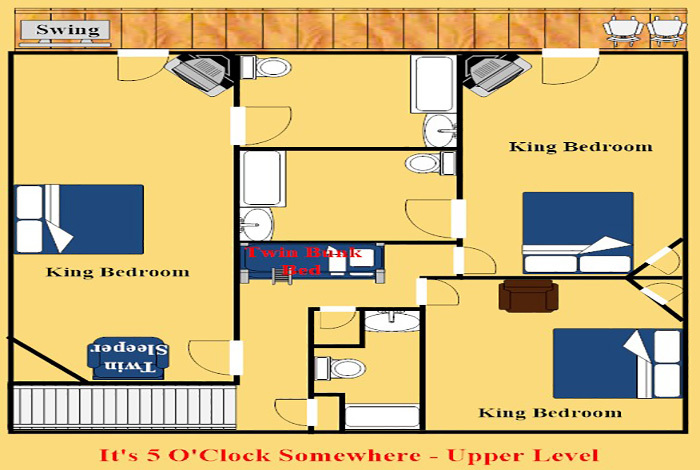 Up to 18 guests can be comfortably accommodated with its 5 king bedrooms, 2 queen sleeper sofas, 2 twin sleeper sofas, and 1 twin bunk bed. 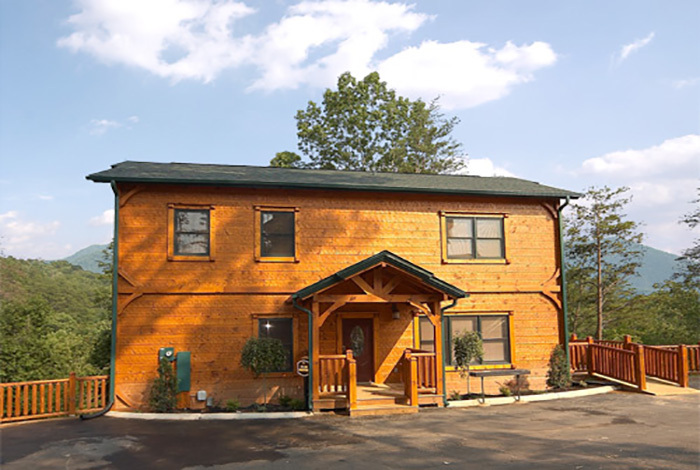 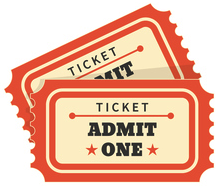 All this while being located just minutes from Gatlinburg and Pigeon Forge in the beautiful Gatlinburg Fall Hidden Valley Resort. 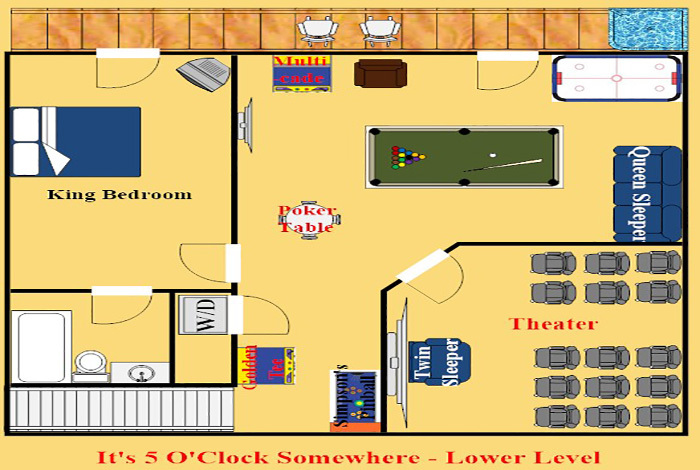 So come enjoy a stay at It’ 5 O’clock Somewhere and create family memories which will last a lifetime.